into were invited by the architects to develop the lighting scheme for all interior areas, the exterior façade and the landscape lighting. 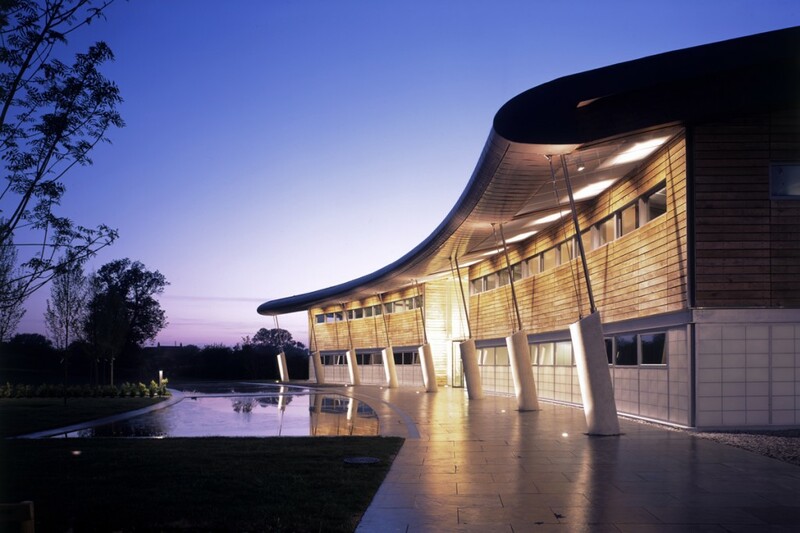 The building was to be the new head quarters for an expanding company built on a green field site. Uplighting techniques were employed throughout the scheme to enhance spatial awareness and create interestingly lit spaces. 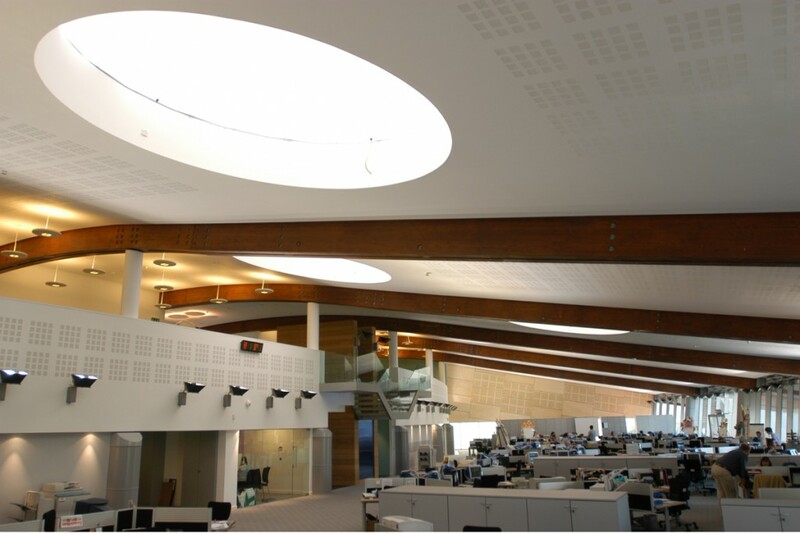 To produce an even light level onto all workstations in the office areas indirect lighting with high-powered metal-halide flood projectors were used. 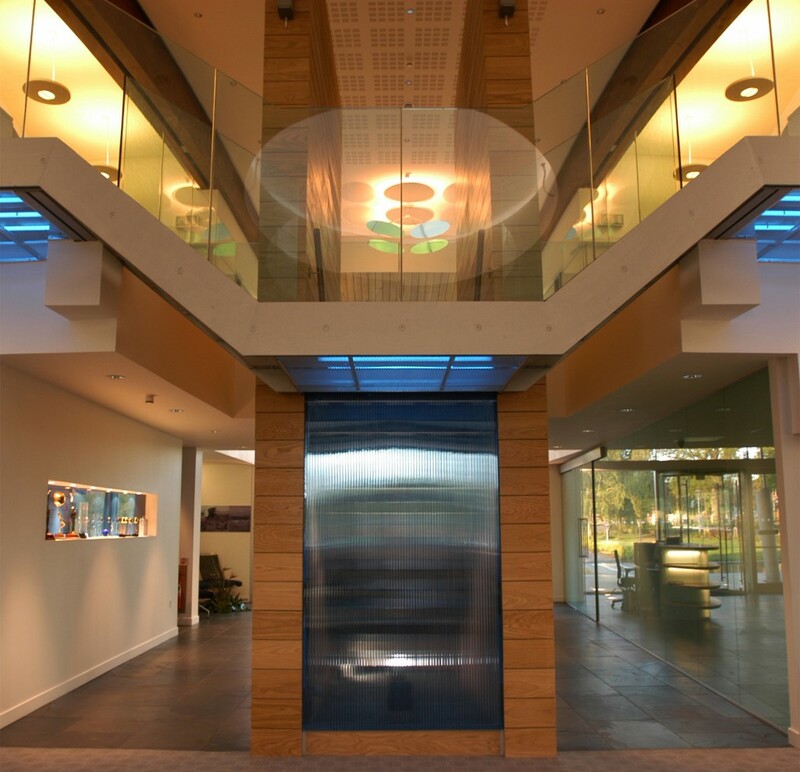 Certain luminaires provided sculptural features, including uplighting onto suspended mirrors in the entrance reception. 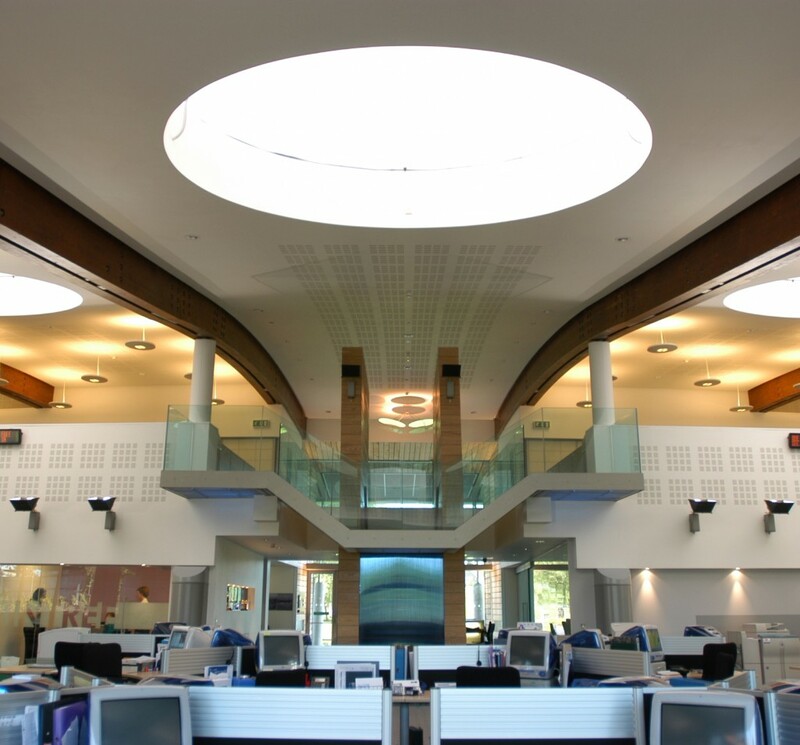 In more standard offices and meeting rooms the open grid ceilings were given a blue hue onto exposed services by adding blue filters to suspended linear fluorescents. 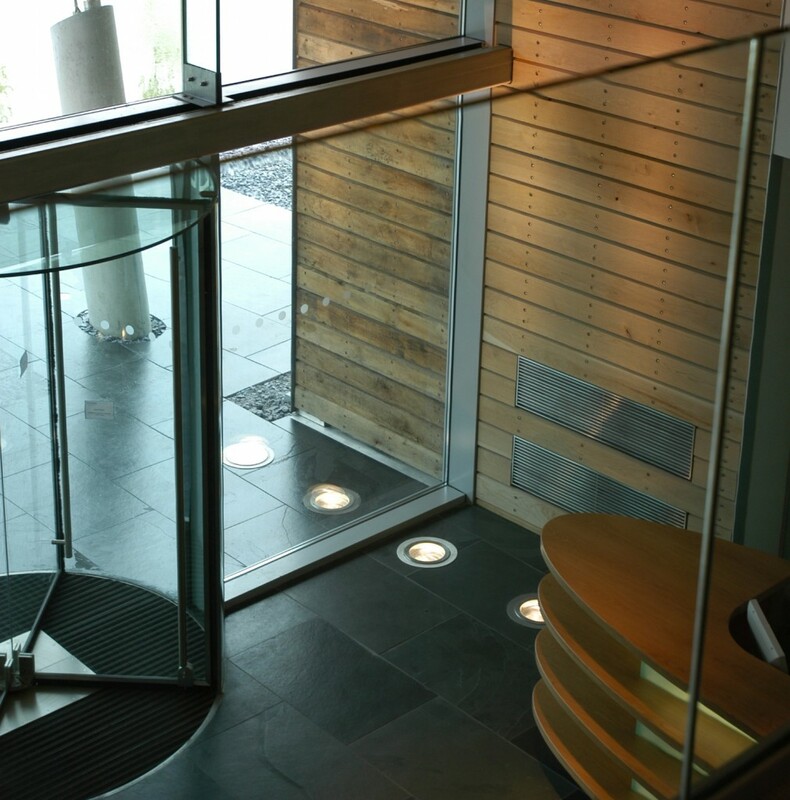 The lighting designs create a bright and airy open office space with an impressive entrance and stunning night time presence. 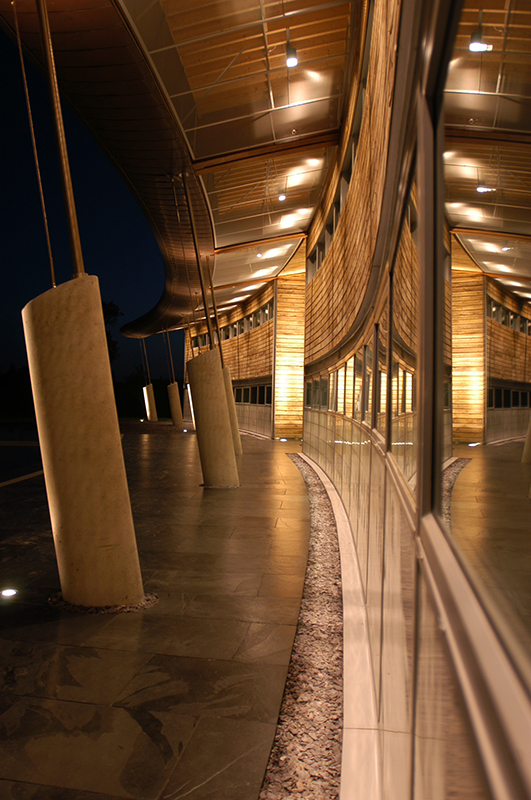 The building was awarded the Kent County Council’s Building Design Award in 2003.